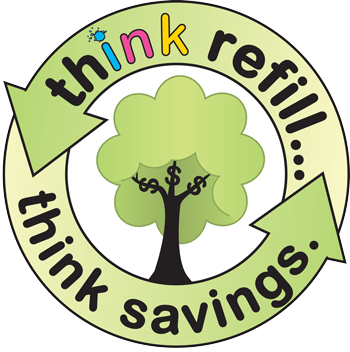 In more ways than one when you use our refill services or purchase our remanufactured cartridges. Popular cartriges have no wait time, just come in and we'll exchange them on the spot. All other refills are completed within 20 minutes. 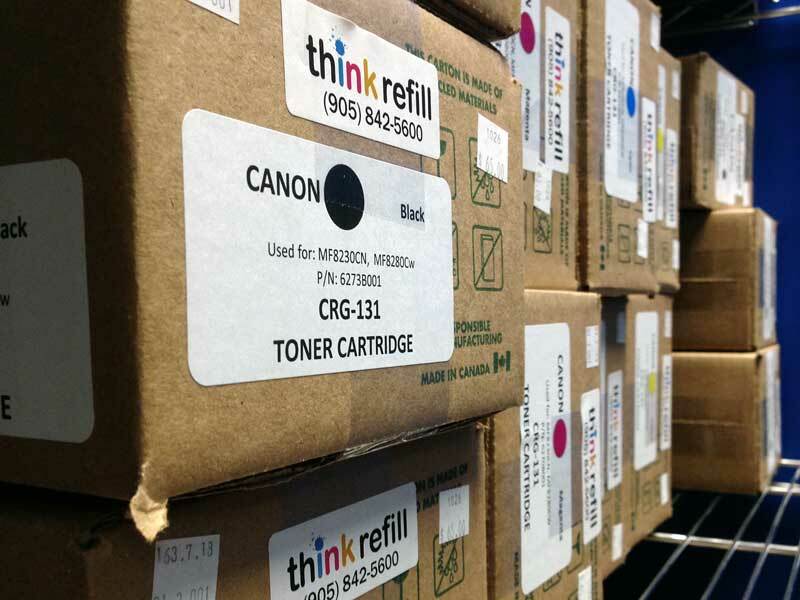 Refilling can save you up to 60% off the cost of purchasing original brand name cartridges. 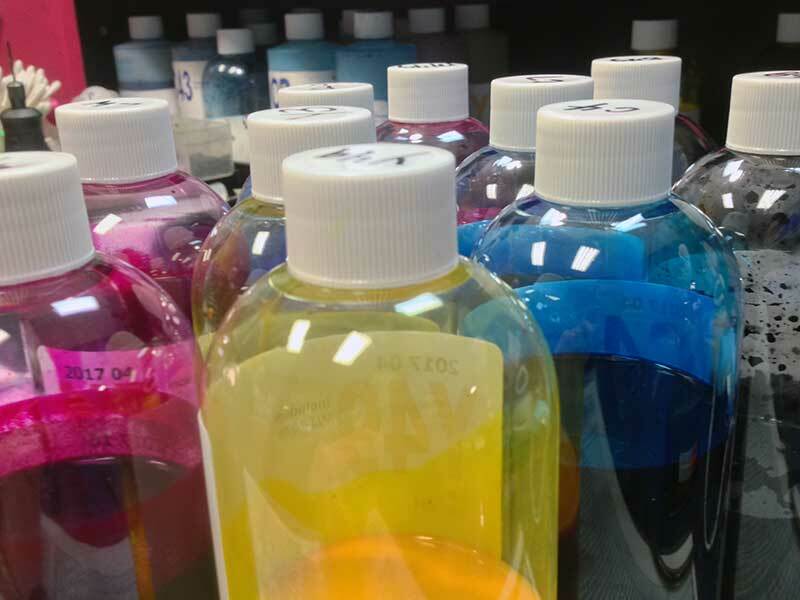 To take advantage of our ink jet refill service, simply bring us your empty cartridge and one of our knowledgable technicians will refill it in-store usually within 20 minutes. We now offer some refills on a NO WAIT exchange basis. 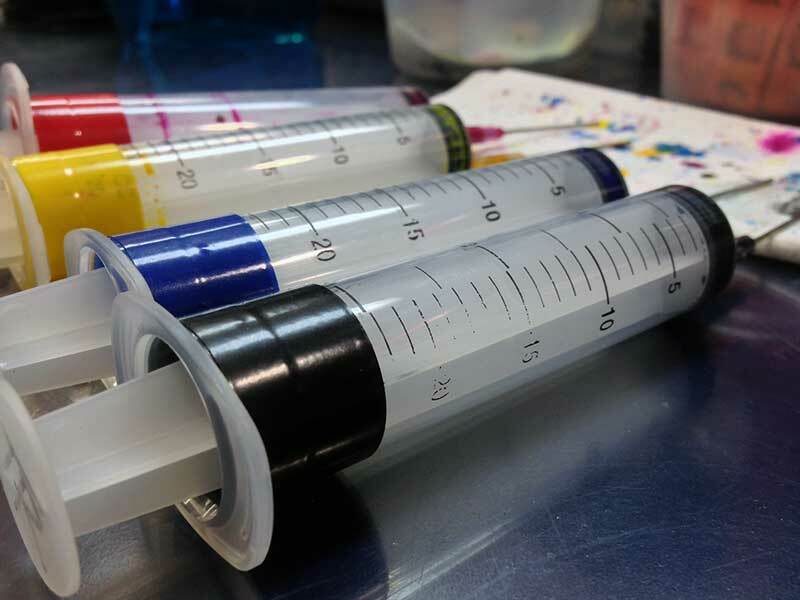 Our multi-step refill procedure ensures that your cartridge is properly refilled and will print the required page yield at 100% print quality. One of our steps is to test print every print head cartridge and package this test page with your cartridge. 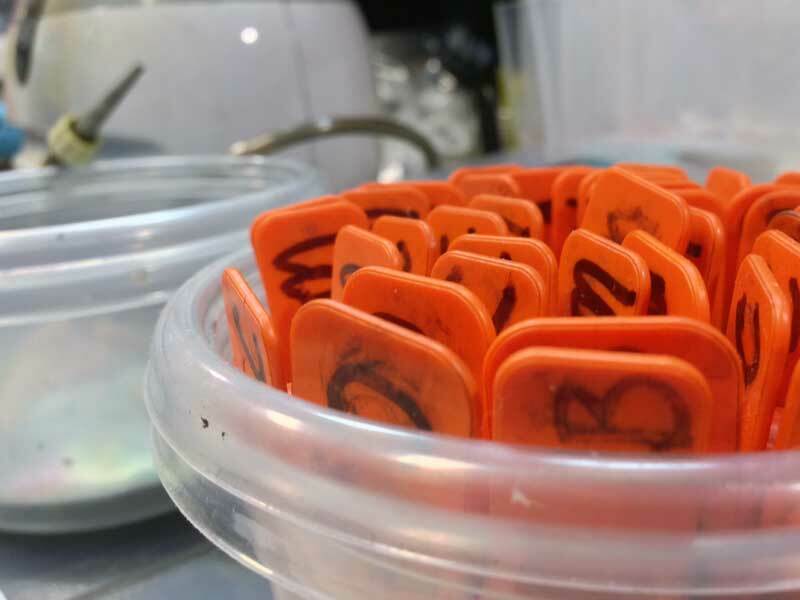 If your cartridge fails any of our inspections or tests, we don’t charge you for the refill and will discuss replacement options available to you. We value your loyalty and to show our appreciation offer a REWARDS PROGRAM where every 10th refill is free! 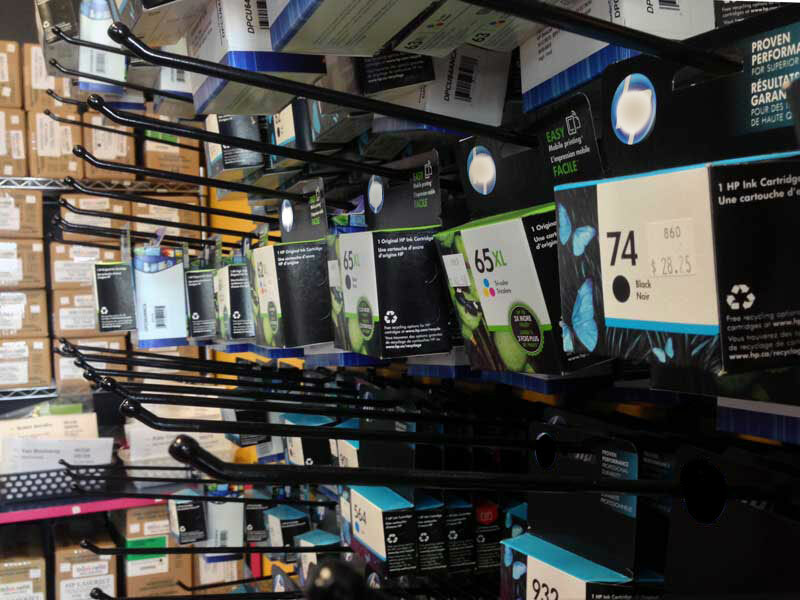 As most inkjet cartridges have a limited number of times they may be refilled successfully, for our customers’ convenience, we stock a wide selection of remanufactured and new original brand cartridges. If we don’t have it in inventory, we offer next business day availability. Laser cartridges are a different technology than ink jet cartridges. Rather than using a liquid ink, they are filled with a powder, which without proper ventilation can become airborne. Due to health concerns, our laser cartridges are remanufactured locally at an off-site plant. Our laser cartridges are remanufactured from an original manufacturer core. For your convenience, we stock a wide selection of the more commonly used cartridges available for over the counter purchasing. If we don’t inventory your cartridge, we offer next business day availability. We don't require an empty for you to purchse, but welcome any empties dropped off as we reuse them. Our laser cartridges offer print quality and page yields guaranteed to match the original brand name specifications. For some cartridges, our page yields far exceed that of the original brand name, all at vastly reduced prices. We value your loyalty and to show our appreciation offer a Rewards Program, where every 10th laser cartridge purchase entitles the customer to a $10.00 discount. Did you know: An inkjet nozzle's precision is similar to dropping a grape from a 30 storey building into a bucket on the pavement below! 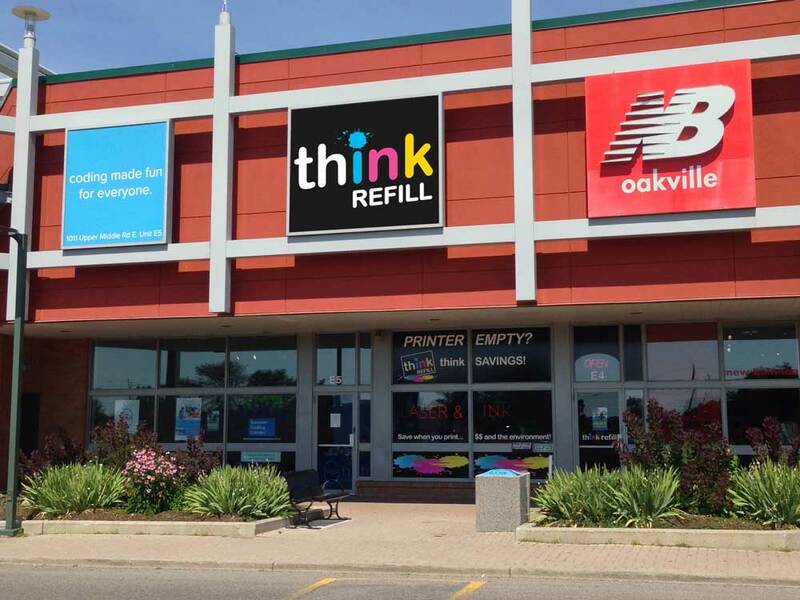 We are a 'one off' Canadian owned and operated retail store located in Oakville, Ontario open since July 2005. How have we survived in this competitive industry? Could it be? Trained staff with extensive product knowledge and troubleshooting skills. 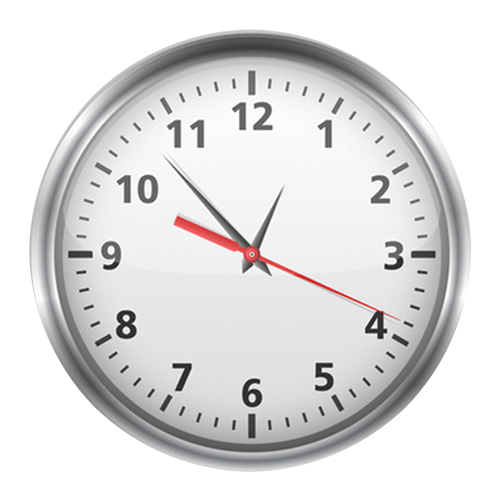 20 minute in-store inkjet refill service or NO WAIT exchange on select cartridges. Convenient after hours drop box. Customers have earned thousands of rewards!! SAVE 60% off the cost of buying a new brand name cartridge just by using our products and services. 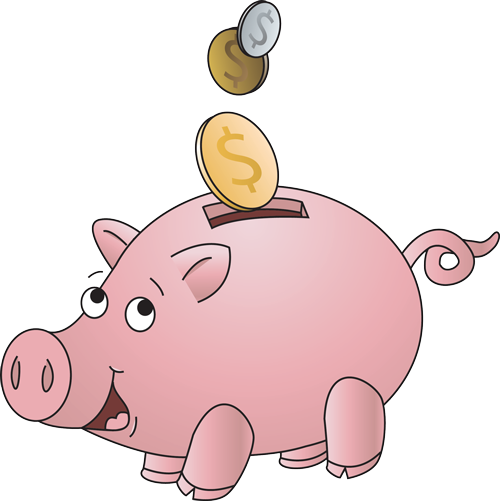 SAVE MORE with our FREQUENT FILLER REWARDS PROGRAM! We believe loyalty should be rewarded! It’s easy! No card to carry!! You never miss rewards! On your first visit with your permission, we issue you an electronic “Frequent Filler Rewards Card”. 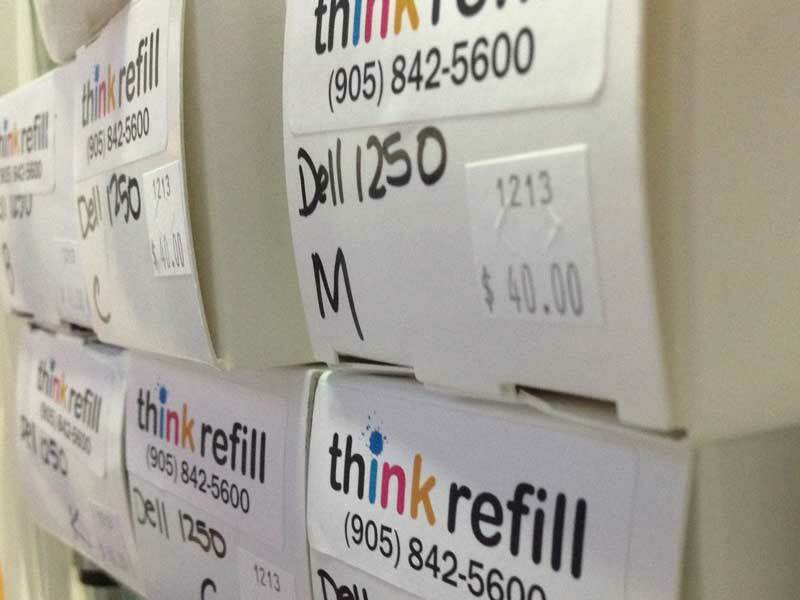 Our system will keep count of your refills and/or laser cartridge purchases. 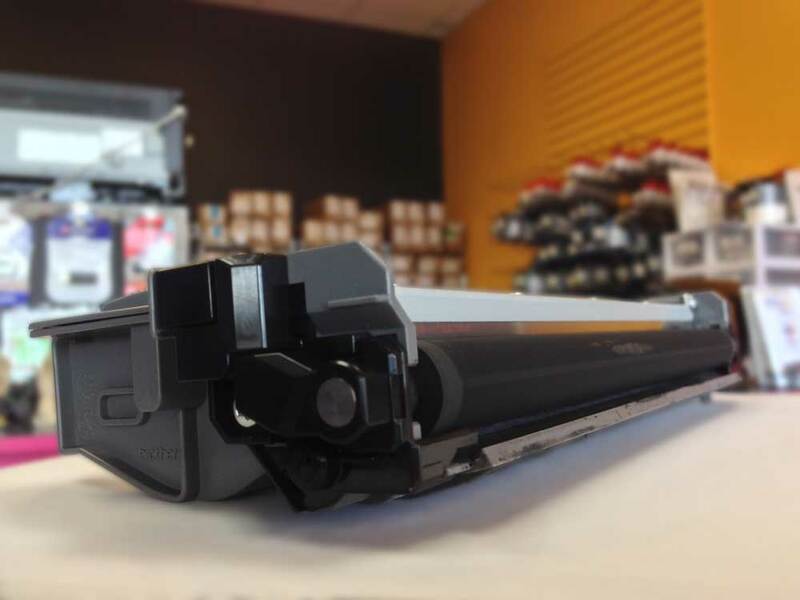 Every 10th combination of inkjet refills and/or laser cartridge purchase entitles you to your choice of a either a free ink jet refill or a $10 discount off the purchase price of a laser cartridge. Track your rewards status on your printed receipt! EARN MORE REWARDS with our REFERRAL PROGRAM. For every new customer referred by an existing customer, we thank the referring customer with 2 credits on their "Frequent Filler Rewards account. Customers earn Frequent Filler points with every refill or reman dollar spent. Once you've earned 10 points, these can be spent for a free refill or redeemed as a $10 credit towards a toner. We've given out thousands in free points over the years, start earning today! Did you know: It takes 35 million drops to print one 4x6 photo! In addition to saving 60% off the cost of buying a new brand name cartridge, by using our products and services there are environmental benefits as well. Printer Cartridges are considered E-Waste along with cell phones, computers and printers. E-Waste is a relatively new part of our everyday lives which has a large negative impact on the environment. Reduce Landfill: Each year over 60 million inkjet cartridges are sold across Canada, with over 700 million across North America. That’s nearly TWO MILLION CARTRIDGES per DAY or 16 CARTRIDGES per SECOND! This number is increasing at a rate of 12% each year! Of these it is estimated that only 20-30% are recycled. 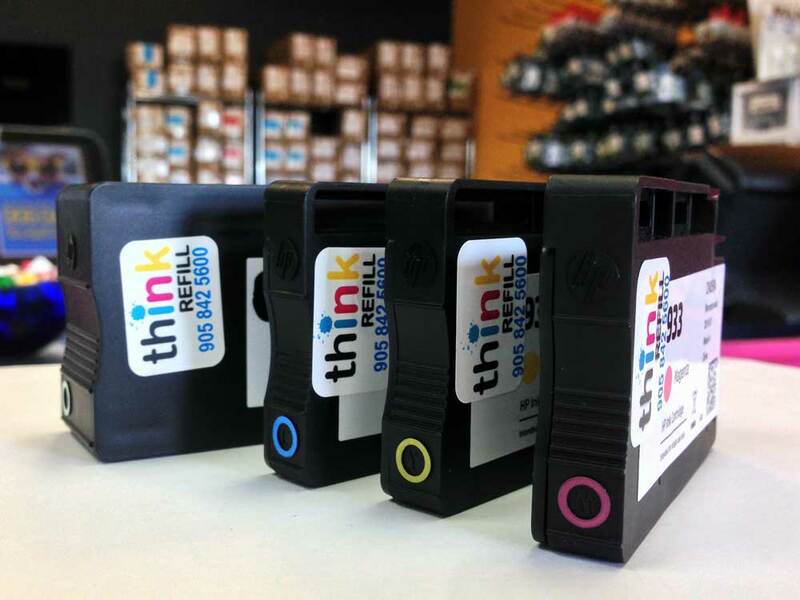 An ink cartridge can take 450 to 1000 years to decompose naturally. Conserve Energy: It requires approximately 74ml (2.5 ounces) of oil to produce a single inkjet cartridge and 3.3 liters of oil to produce a single laser cartridge. By reusing cartridges millions of gallons of oil can be saved in just seven months! Reduce Greenhouse Gases: Manufacturing just one single laser cartridge emits around 4.8kg of CO2 Greenhouse Gases. Did you know: An inkjet printhead moves faster than 1 meter/second! Copyright ©2019 Refill Pros Inc. All Rights Reserved.